Yogi Berra dies at age 90 – what was his net worth? Yogi Berra, famed Yankees catcher and D-Day Veteran, has died at age 90 with leaving his family millions in net worth. 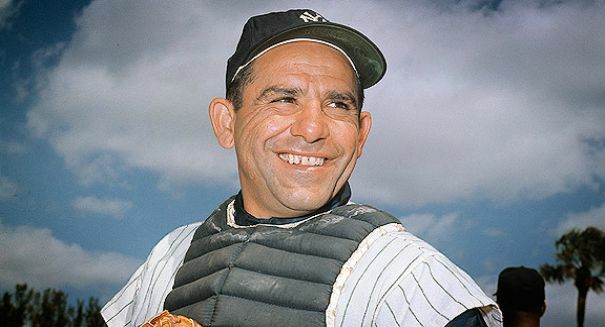 Yogi Berra will be remembered as one of the greatest catchers the New York Yankees have ever known. According to a report from CNN, the baseball player and source of inspiration to his teammates and his country died on Tuesday night. His net worth at the time of his death was $5 million. Berra helped secure the Yankee’s spot in baseball history as he led the team to 10 World Series championships. The Yankees have won more series titles than any other team in Major League Baseball history. Born Lawrence Peter Berra, the son of two Italian immigrants, he earned his nickname “Yogi” from a childhood friend who saw a likeness between the catcher and a character that played a snake charmer in a popular movie a the time. Yogi Berra initially had some trouble on the baseball field, due to his small fingers. He had to paint them so the pitchers would be able to read his signals. He holds the World Series records for most games as a catcher, most hits, and most times on a winning team. He was first in at bats, doubles, second in RBIs, third in home runs and walks. He also hit the first pinch-hit home run in the history of the World Series in 1947. A U.S. Navy veteran, Berra will be remembered as an extraordinary American that made countless contributions over the course of his life.